Great shot, I love this angle! WOW…where have you been hiding this shot? My favorite mountain shots are usually of a summit ridge. This shot is breathtaking; clear, sharp and mesmerizing. This could easily be a motivational poster!!! Is that Changatse at the top left? 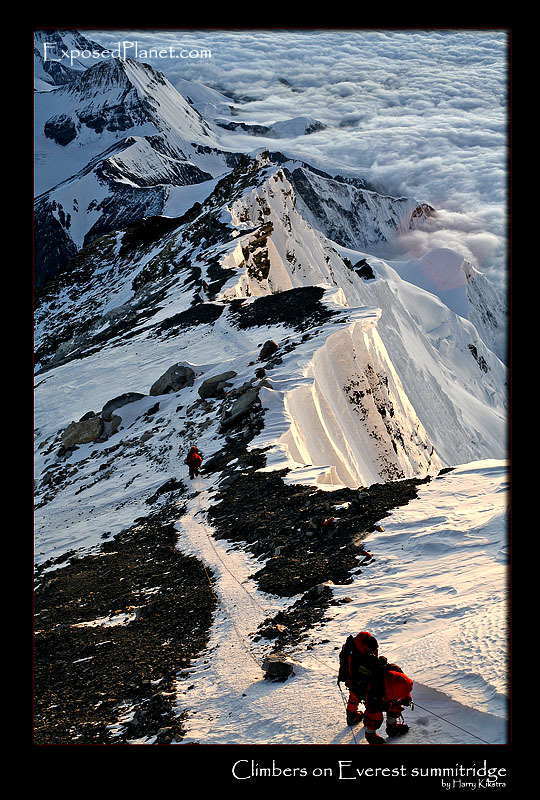 The story behind "Between the steps: Climbers on summitridge of Everest"
Climbers fighting their way up the last sections of Mount Everest. This is the relatively flat and easy stretch between the 2nd Step (seen in the back) and the 3rd Step (from which i am taking the foto.